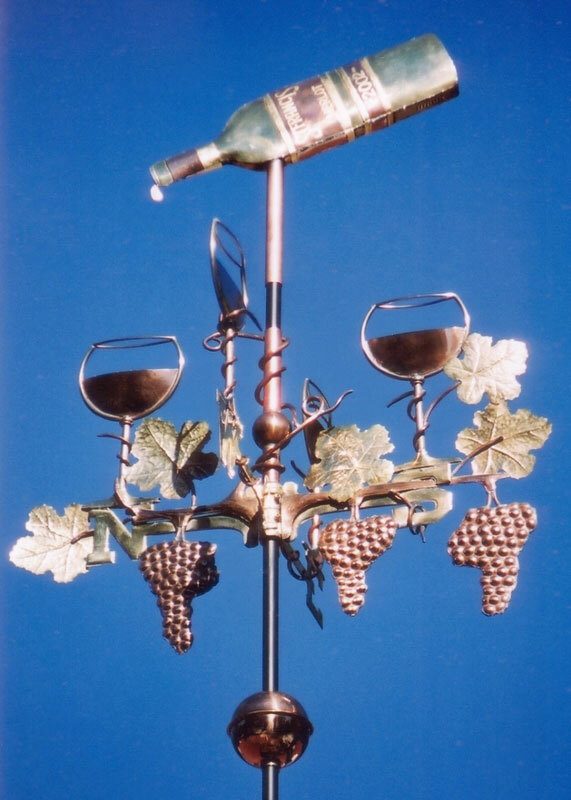 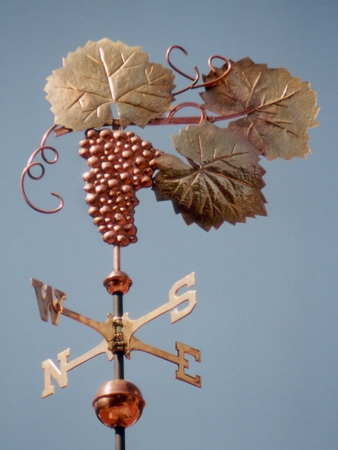 Our Wine Bottle with Glasses and Grapes Weathervane is a popular design, especially with wine connoisseurs and fine wine establishments. 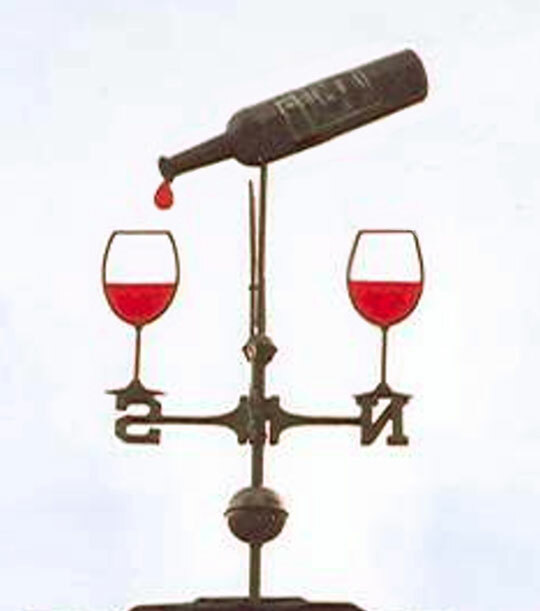 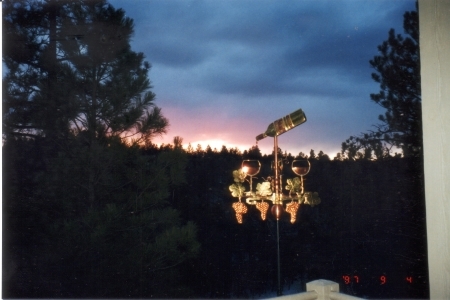 This weathervane is available in many configurations. 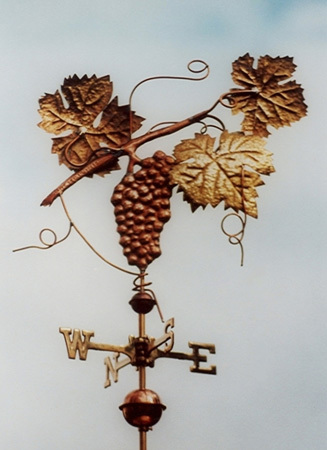 Customers can choose different styles of wine bottles and labels, different shapes of wine glasses, different combinations of metal and stained glass, as well as different types of grapes. 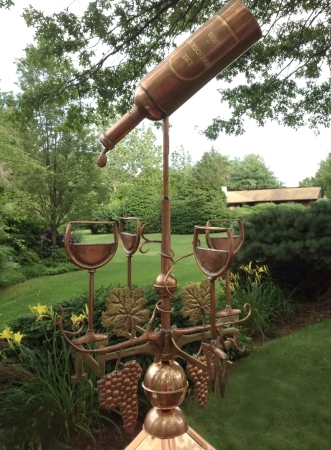 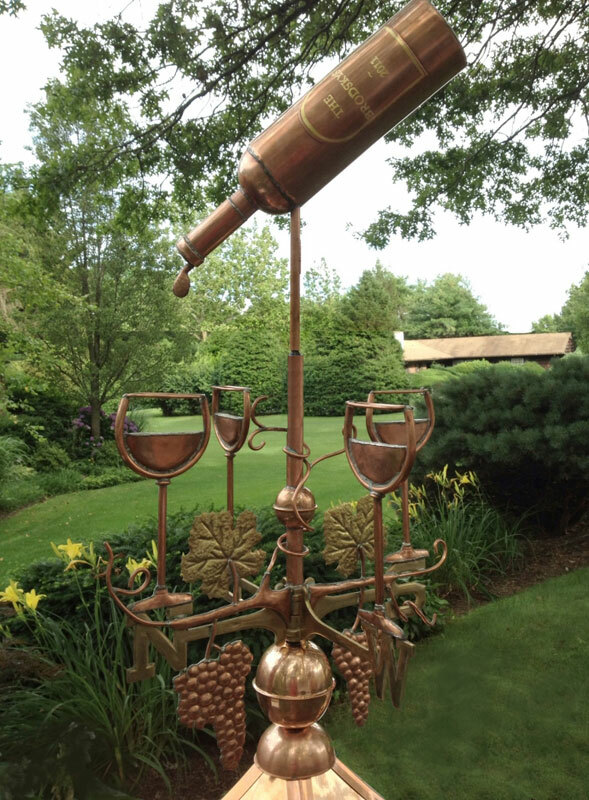 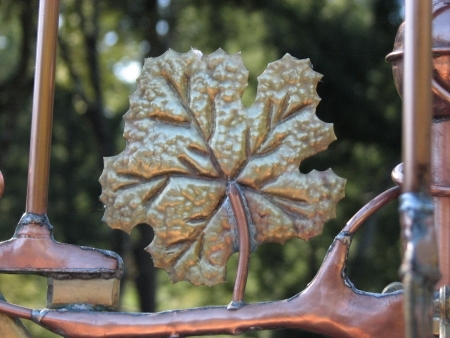 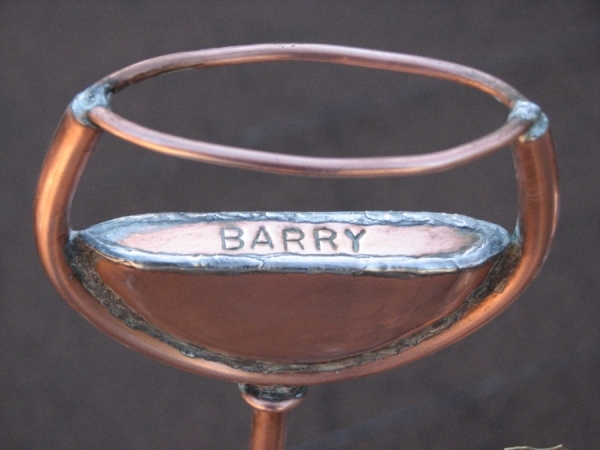 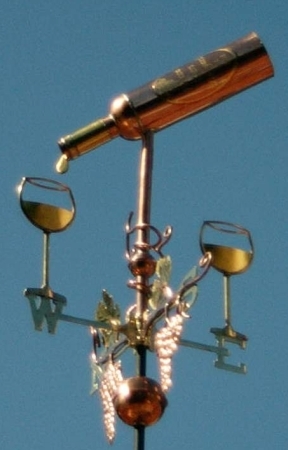 As shown above, this weather vane was made with a swell-bodied brass wine bottle, a copper foil neck wrap, labels with optional gold leafed lettering (one simple label with simple gold leaf script is included in the price) . 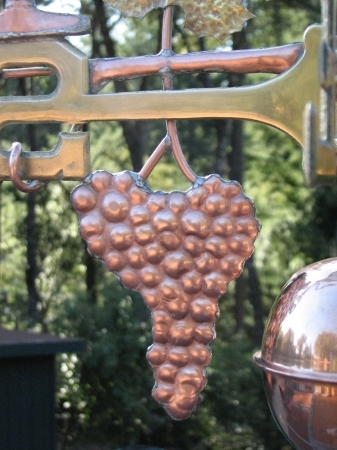 This customer wanted four globe style wine glasses filled with copper ‘wine’, and copper Merlot grape clusters with brass leaves. 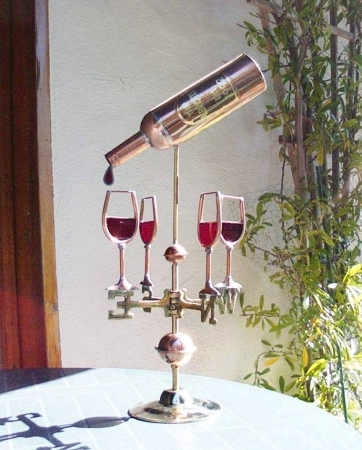 We have also made a simpler version of this design with two glasses. 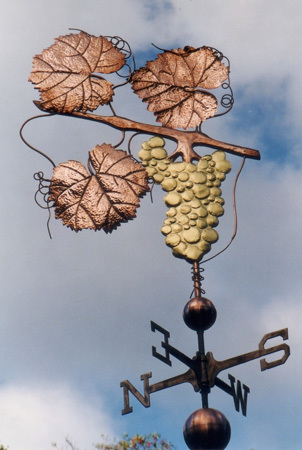 If you have questions about any of these options, please let us know. 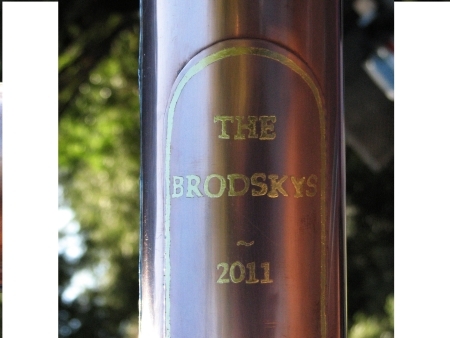 We would be happy to prepare a quote for your consideration. 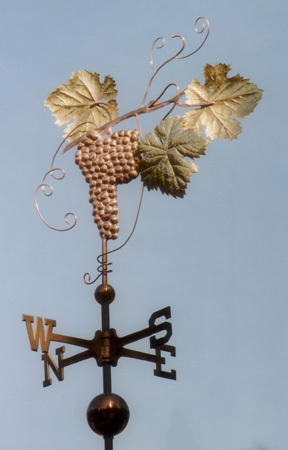 And please see our table below to see some of the combinations our customers have selected for their weather vanes.